We never compete against you because we only deal with licensed mortgage and real estate brokers, not borrowers. Loan Brokers represent the borrower when dealing with Saratoga Capital, Inc. We do not deal or negotiate with your client but have you represent their interests. 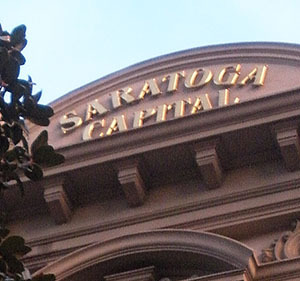 Saratoga Capital, Inc. has provided California Real Estate Loan Brokers a direct, private money lending source for short to medium term equity (hard money) loans for over 40 years. We are fast when time is of the essence. * 3-5 year maturity, interest only payments. **Broker add-on subject to a maximum. We are very competitive when lending on viable income property as well as marketable qualified single family dwellings. We are creative when dealing with extraordinary requests. We never compete against you because we only deal with licensed mortgage and real estate brokers, not borrowers. Loan Brokers represent the borrower when dealing with Saratoga Capital, Inc. We do not deal or negotiate with your client but have you represent their interests. Thus you are assured that your fees and commission are paid when a loan is made and closed. Loan brokers bring us loan requests from their clients for homes loans, apartments loans, commercial property loans and retail center loans. And of course your commission is negotiated between you and your client. Please call (408)286-3696 for current rates and terms available on all our loan products. Call us and let’s get it done!